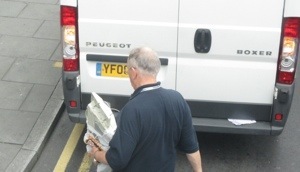 Over 1000 properties have been circulated, seeking residents’ views on the parking in thier local neighbourhood. The deadline for reply is 22nd January. You can if you wish, download and print the images if you have lost your survey. … shouts a chair of a Notts County football club supporters group in the N Post. Apparently a new parking permits scheme around the Meadow Lane neighbourhood “could have an adverse effect on attendances”. And that’s an advocate of Notts County. This is an article in search of a story. It seems charging for spaces to stop all day parking by commuters isn’t the story – despite it being the reason. And how’s this for customer focus – a ‘pub in Meadow Lane, said the changes would affect business through the week because its car park was mostly used by staff’. Changes to the original scheme were made following consultation and special signs for this scheme have been introduced; this has caused a delay until January. More change is most likely on its way. 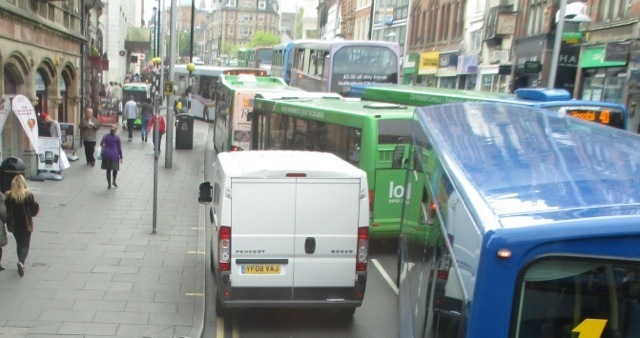 – Crocus Street is being abused by commuters; consultation for a scheme has been going on for some time. – Residents of Eugene Gardens have organised a petition about commuter parking, and that’s before the nearby Meadow Lane change is introduced in January. – There are complaints about commuter parking throughout The Meadows, including from near ‘ng2’ business park and along Victoria Embankment. Responses for much of The Meadows are likely to be tied in with the roll-out of the tram – it’s an obvious point for any consultation if it can be pointed out that the tram might make a difference. A roving surgery around Bathley Street and someone is kind enough to tweet about it. A first for me. High interest in proposals for the cricket pavilion and high support. More interest in managing parking for events and commuters treating The Meadows as a park and ride site – something we intend to do more about once the impact of “park and pay by phone” in neighbouring industrial areas and the impact of the expansion of the tram is known and understood. Front page headlines, lead story, full page analysis and an editorial in the N Post today. Wow! whatever it is, it must be important!! What it is, is that Forest fans pay £5 to park on Victoria Embankment on a home match day and County fans don’t. And people wonder why we get fed up with local newspapers. The thesis, as such is not correct, even recognising that in practice, that’s what happens. Cos the criteria is actually much more along the lines of there being a commercial event taking place near the Trent Bridge that means we want some kind of patrol and control for our beautiful public park. 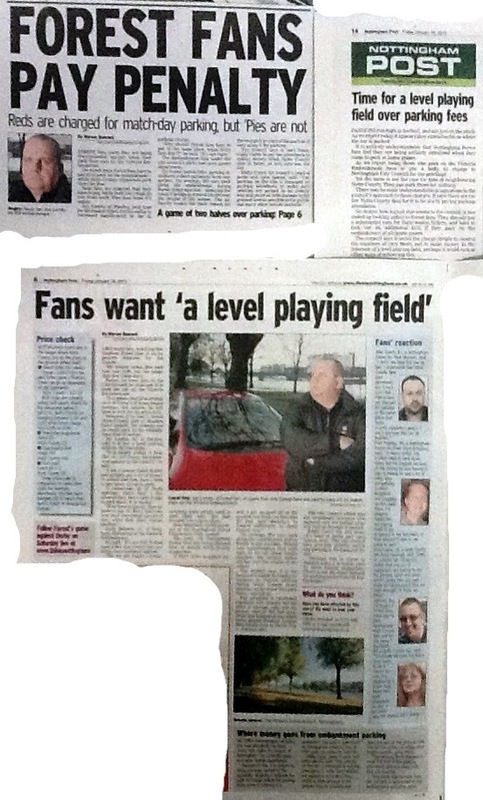 So if County get big gates – these days, say, a big club at home in the cup – the council may well charge for parking. As it is, from memory, County’s average home league gate is circa 7,000 and Forest’s is circa 22,000; that’s 3 times higher. And County fans find parking opportunities to the north of their ground that is less convenient for Forest fans. And the paper forgets to think about cricket fans visiting the Trent Bridge. England fans turn up in big numbers and the council runs patrol and control; Outlaws 20-20 fans – the same. County cricket doesn’t need it. So if the paper had thought about it, their charge of discrimination would relate to be Forest fans, Outlaw fans and England test fans. But that wouldn’t make a snappy headline.